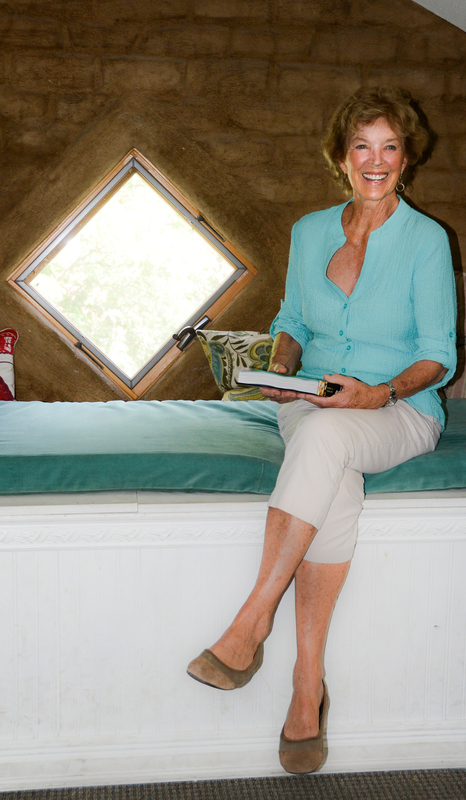 Polly Raye arrived in Taos in 1976, in a Chevy Van she’d outfitted as a camper, with her three kids in tow. She had been on year-long journey, looking for an alternative, meaningful and communal way of life where she could contribute to the whole and bring her children up in an environment of mindful awareness. She grew up in New England, just outside of Boston, and by the time she arrived here in Taos, she had already accomplished more than most, while still in her mid-thirties. Polly graduated from Smith College with a major in religion and a year spent studying theology at the University of Geneva, under her belt. Summers spent working on a ranch in Colorado started her life long love affair with the West, and although she moved to NYC shortly after graduating, she knew she’d always return. Hoping for a career in finance, Polly found herself typing while her male peers quickly climbed the corporate ladder. It was 1961. She took night courses at Columbia and NYU while holding down a day job for a brokerage firm – she required six months of brokerage experience to qualify as a Stock Broker – where her male colleagues did not take her passing the exams with great enthusiasm. After two year’s she’d had enough. Married during this time, Polly and her husband moved to Connecticut where he had been transferred. Polly was hired (with two other security analysts) to start-up the first common stock department at Travelers Insurance. As one of only three women in the NY Society of Financial Analysts, she was breaking new ground. They moved next to Dayton, Ohio, where two sons were born, then to Philadelphia where Polly studied for her MBA at Wharton before the birth of her daughter and finally, divorce. With $5000.00 to her name, Polly, her kids and a friend piled into the Chevy Van and headed South. She had a vague notion of living in a spiritual commune, and armed with a copy of Commune USA as their tour guide,she and her traveling companions visited several communes on the East Coast before crossing the border into Mexico. Mexico changed the way Polly looked at life. She recalls one evening when the van got stuck in the mud in the middle of nowhere. She smiles as she remembers what followed. “They worked on a banana plantation,” she explains. A memorable meal soon appeared and they wound up staying in the village for a week. That experience impacted Polly deeply; she determined that a life lived with simplicity and generosity was far more rewarding than the one lived on the fast track she’d left behind. The family continued down Mexico’s east coast and then traveled up the west coast of Mexico, into San Diego where Polly had family. In California she continued her quest, visiting communes throughout the state, but none spoke to her heart. She decided to head back East via Colorado, and there a rancher friend from her youthful summers, told her about a mutual friend who had moved to Taos. Polly came, discovered the Lama Foundation, and stayed there for three years, at which point she felt her kids were becoming too isolated and she began looking for a house in town. Rena Rosequist, owner of The Mission Gallery (whose son Daniel Oppenheimer once played in a punk-rock band with my ex-husband, and is my daughter Angelica’s Godfather) helped her find the century old church she lives in to this day with her husband, Bill Christmas, her “junior high crush” who found her over a decade ago, via Google. In late 1978, jobs in Taos were hard to come by and paid virtually nothing. A meditation group met in her home and all ten of its members were unemployed. They wanted to explore the Buddhist practice of Right Livelihood, and opening a restaurant seemed like a good idea because it would employ them all, engaging in service to others, and most importantly would provide fresh organic food, which at that time couldn’t be found in Taos. Polly rented an old house on Bent Street, and named it The Apple Tree for the old one that grew in the center of its courtyard. The restaurant, right down to the planning of the menu was done by consensus. The wages were equal and tips were shared. “The chef made the same wage as the dishwasher,” she says. The staff’s days began and ended with everyone holding hands in a circle. Everything was made with the same mindful awareness that had been the impetus for her journey. The breads were baked in-house and as much fresh and locally sourced produce was used as possible. Everything was recycled and the compost was fed to chickens. “I was all done with love.” She says. I met Polly during the early eighties, when I first moved to Taos. In fact the first place I stayed (with my family) was with friends in the house she owns and rents, next door to her beloved white church. My daughter Genevieve, whom I was pregnant with at that time, now lives in that same house with her husband. When her youngest child left home, Polly sold the restaurant to Ginny Greeno, another fellow Buddhist practitioner. Polly has not changed much. She is still beautiful, brilliant, elegant and dignified, and most of all, acutely sensitive to the needs of others. An inspiring and quite extraordinary woman who has spent the better part of her life, doing for others. 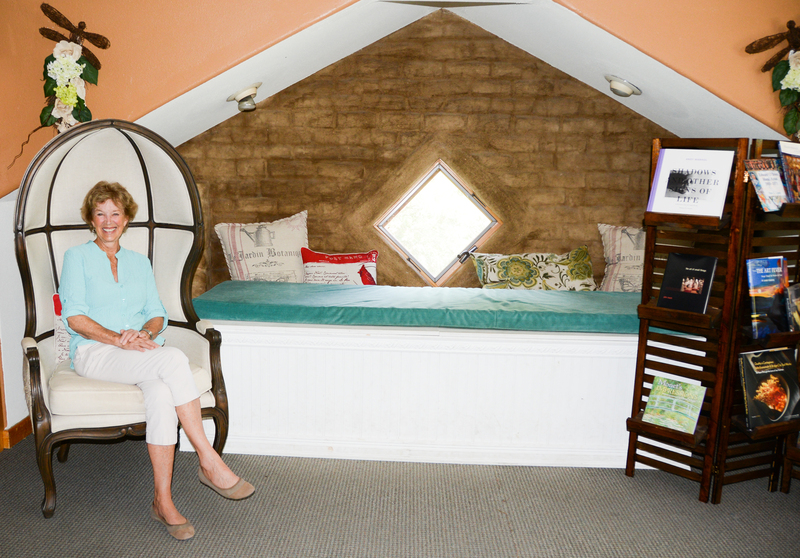 Polly has done so much for Taos in the years since, including being a founding member and the force behind the opening of Casa de Corazon (a safe house for young women ), which has grown to include a school and therapeutic outreach program. Around the same time Polly rallied other environmentalists to create The Taos Land Trust which in the more than 20 years since its founding, has preserved thousands of acres for agriculture and open land. The Taos Community Foundation too owes its start to Polly Raye, and that’s just a fraction of her contribution to this community. 1982 Harvey Mudd asked Polly to purchase the old John Dunn House, on the pathway between the Apple Tree and Taos Plaza. He had renovated it to house seven retail shops for his friends from the New Buffalo commune, and he knew of Polly’s Lama experience and their shared philosophy. She balked at the price but when he offered to loan her the down-payment, she agreed. She removed the brambles and the old wooden boardwalk connecting Bent Street to the Plaza, landscaped the property for easy access and renovated and added more shops and a few offices and apartments. The trees she planted three decades ago now provide shade to the walkway, and Polly continues to manage the shops. Earlier this summer a Taos institution located in the John Dunn shops, closed its doors to great outcry in the Community. Moby Dickens was started in the mid eighties by long time Taos residents, Art and Susan Bacharach who provided Taos with a world-class book shop until they both passed away a few years ago. A new owner, unfamiliar with the business of selling books, was unable to make it work and in the past few weeks since closing down, the town has been in a collective state of mourning. After several meetings with SOMOS and other interested parties, Polly has found a new tenant for the space. With two bookstores (one in Santa Fe and one in Las Vegas, NM) she sounds like the perfect fit. If all goes as planned, the book shop will open its doors this weekend or early next week. Polly couldn’t be happier. Taos owes so much to this truly remarkable woman who continues to keep the spirit of our town alive. 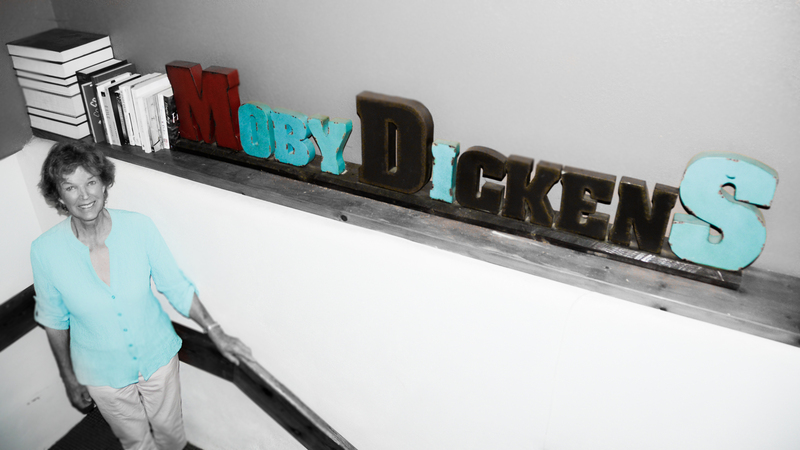 These photographs of Polly Raye were taken inside Moby Dickens earlier this week, by the fabulous Heather Lynn Sparrow. What an extraordinary woman! I had no idea the contributions she had made in Taos. I loved reading a little bit of history on the old The Apple Tree restaurant. Would love reading more history bits on the blog! The Queen of them all! Nice article. I remember having my first Blue Sky, and probably first beer, courtesy of “The Church” kitchen… and holding hands at the dinner table which seems so odd the first time and so natural by the last. Polly had a big, if indirect, impact on a half a generation of kids via her home, restaurant, generosity, and fantastic children. Thanks for commenting. Yes, her impact on Taos is considerable. What a nice profile. 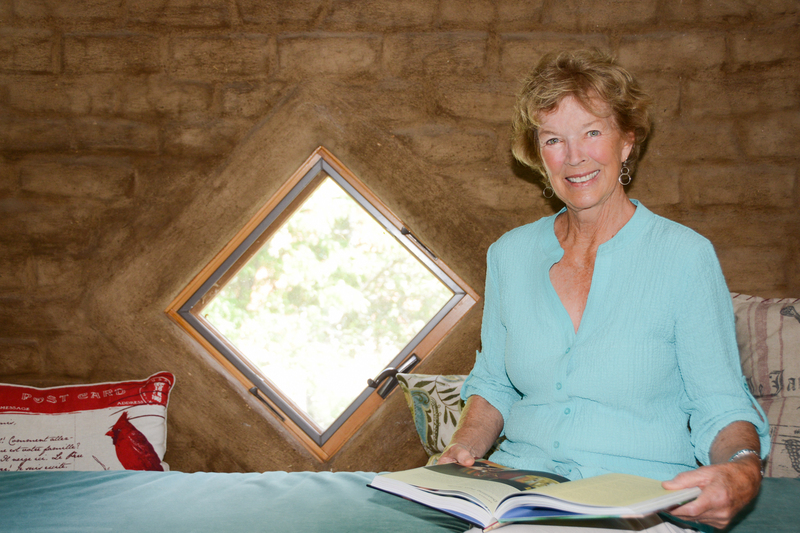 Polly is a remarkable woman, a Taos living treasure. I am so pleased to read this lovely profile. I remember Polly Raye as a person who projects confidence, competence and empathy all at the same time. Her kindness and love for mankind is manifest in so many ways. Taos simply wouldn’t be the same without her. She enriches all with whom she come into contact. May she enjoy all the happiness she deserves! What a fabulous spirit that has blessed our community! I had no idea! Amazing and inspiring woman in a town full of them – no doubt yourself included! Thanks for commenting Angelina.